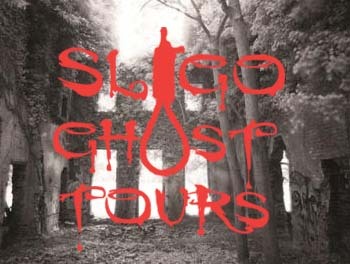 If your in search for a hen party idea with a difference then The Sligo Ghost Tour should be considered as an option. Sligo Ghost Tour all Hens will get to visit some of the most historic and para normally active locations around Sligo. The Party will visit many sites around Sligo town and county, one site “out of town” is so haunted that it is said to be home to Irelands only Poltergeist and has featured on the Syfy Channels ” Ghost Hunters”. There is no doubt that these sites are surrounded by mystery, intrigue and spirits from the past. Time will tell if these troubled souls are friend or foe. The tour will last approximately 2 hours and is outdoors most of the time so please be prepared for the weather and good footwear is recommended. Some of the sites and stories could cause nightmares for younger children so over 14’s only for the main tour. We can run a tailored tour for groups of children if required but early booking is essential. The Tours are intimate, 16 people maximum, it starts and finishes on O’Connell Street, Sligo so feel free to have a drink beforehand but we will depart at 8pm sharp.